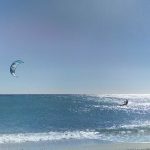 Kitesurfing or kiteboarding is a surface water sport combining aspects of wakeboarding, windsurfing, surfing, paragliding, and gymnastics into one extreme sport. 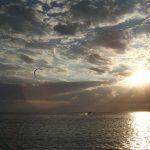 A kitesurfer or kiteboarder harnesses the power of the wind with a large controllable power kite to be propelled across the water on a kiteboard similar to a wakeboard or a small surfboard, with or without foot-straps or bindings. 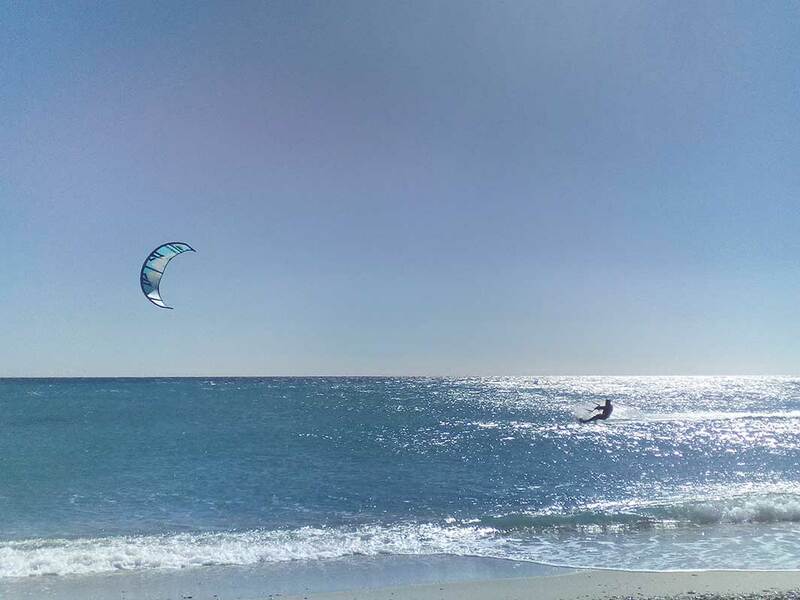 The terms kiteboarding and kitesurfing are interchangeable, although kiteboarding may also refer to kite landboarding or kite snowboarding. 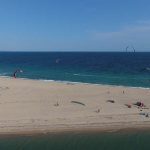 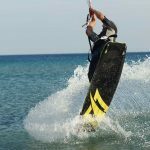 There are different styles of kiteboarding, including freestyle, freeride, downwinders, speed, course racing, wakestyle, jumping and wave-riding. 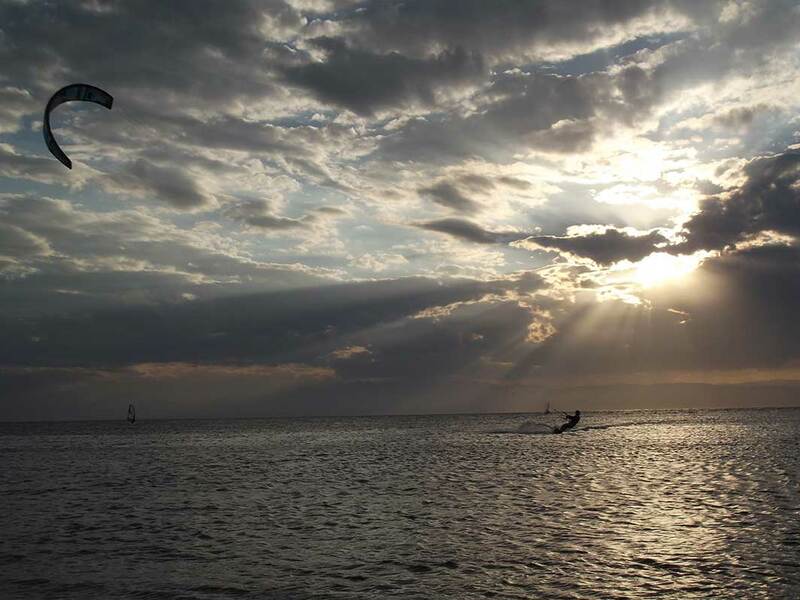 TKitesurfing is a ”must do” experience. 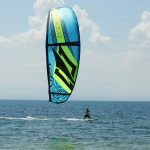 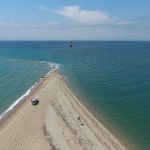 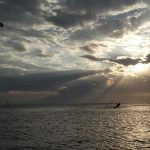 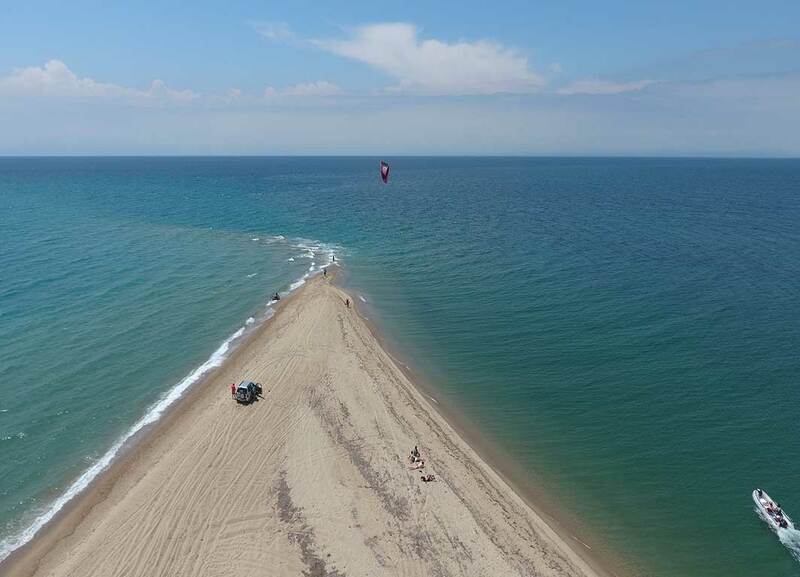 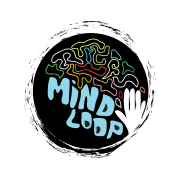 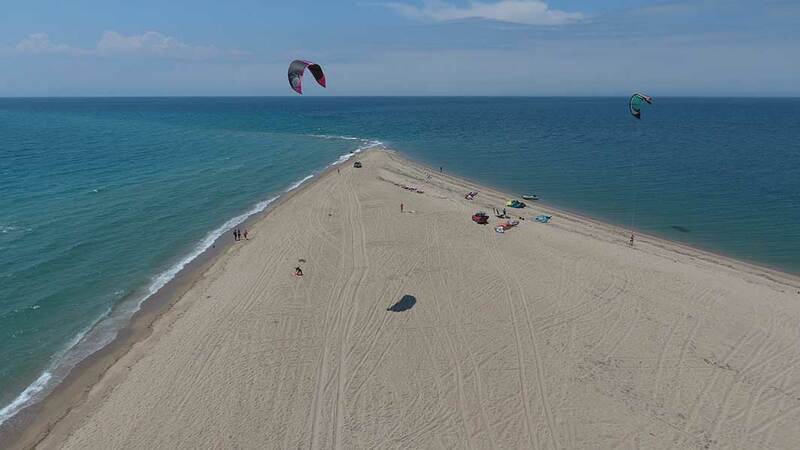 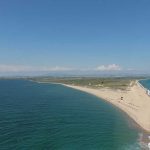 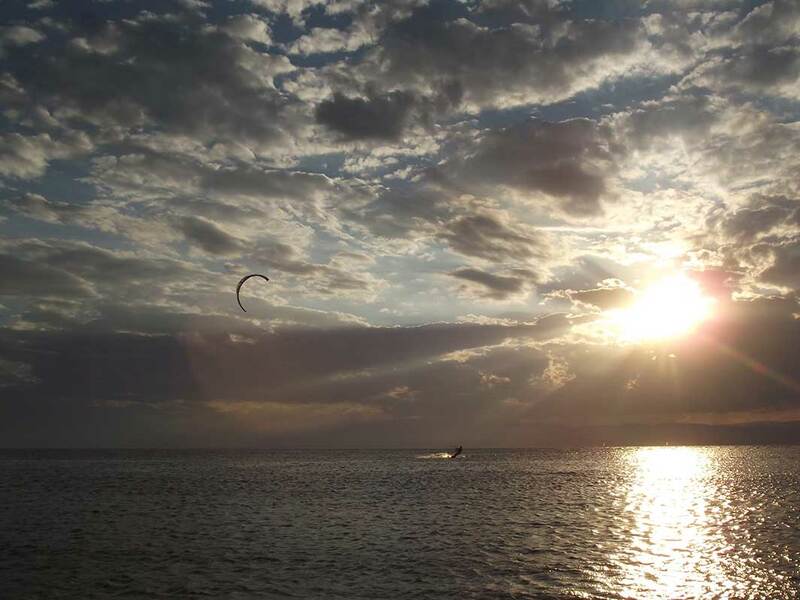 Either a beginner or an intermediate rider, Thessaloniki is the ideal spot to get your kite & kite foilboard lessons with the experienced instructors of Mindloop Outdoor Activities. 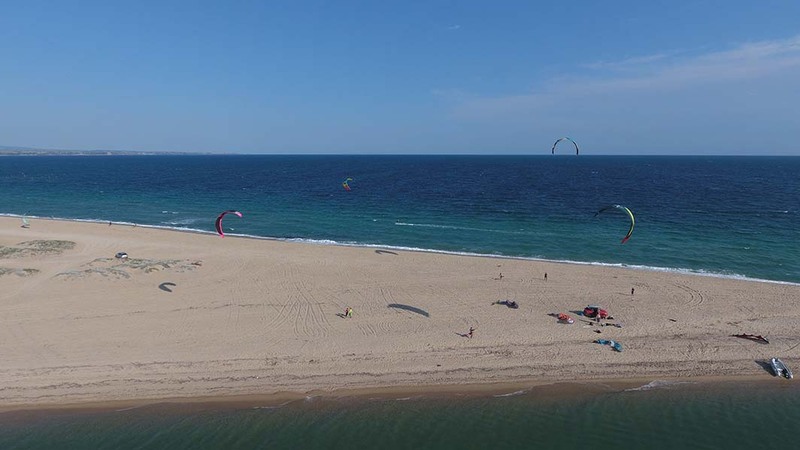 In Epanomi we have thermal winds through spring & summer months with winds up to 15 knots and really strong winds up to 40 knots throughout winter. 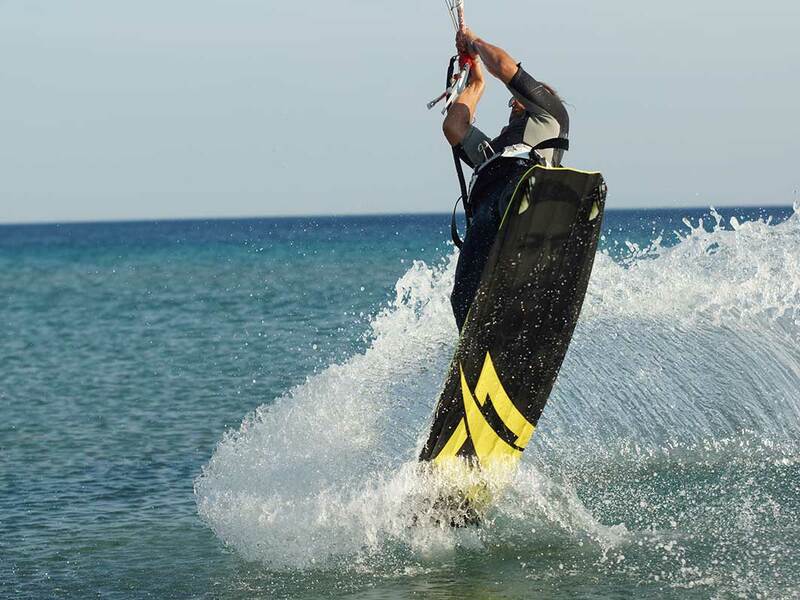 Our school operates all year and we provide lessons with safety and a lot of fun! The school has a rescue boat always available on spot. 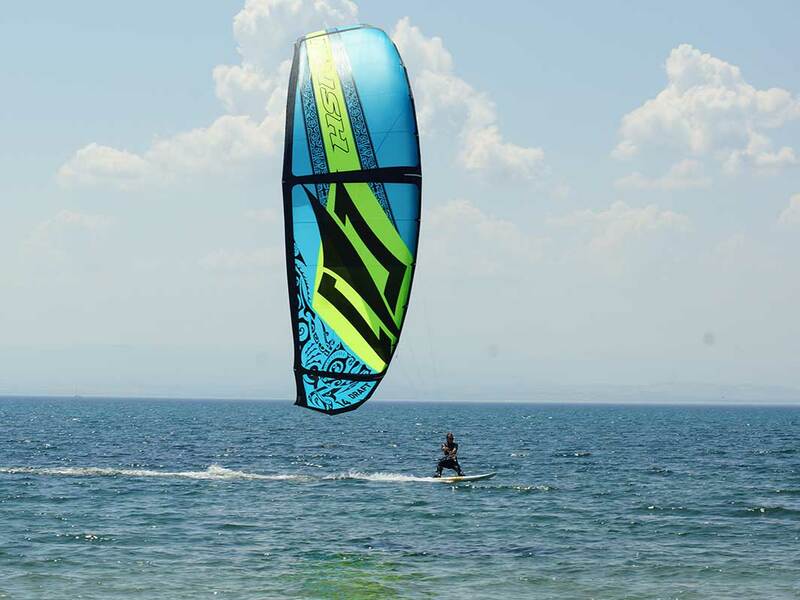 Includes all the equipment plus private tuition by our instructors.